Home » News » Basic BoD upgrade! Since in the introduction of the Basic BoD, early 2017 we shipped many units across the globe and quickly ran out of stock. So sadly many of you had to wait. Finally great news, they are back in stock! And even better: we upgraded this great isolation cabinet. We changed the way the door opens, the door now has the hinges on the left-hand side. This improves the accessibility for the user. Also, we mount the speaker with knobs instead of screws. This was an option and now a standard feature. 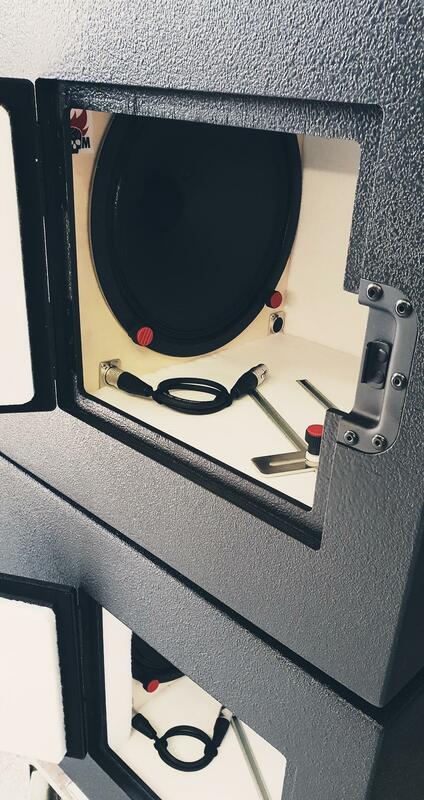 Although the basic BoD doesn't have a retractable baffle, it is still pretty simple to change a speaker in a few minutes, without using tools whatsoever. Check it out! and feel free to contact us if you have questions!